CLAYTON, NC – In an effort to introduce the sport of rugby to new audiences and players, the Clayton Rugby Football Club is sponsoring weekly “Try Rugby” sessions throughout the Summer. The sessions, lasting about an hour each, are being held every Wednesday night in June and July at East Clayton Community Park. 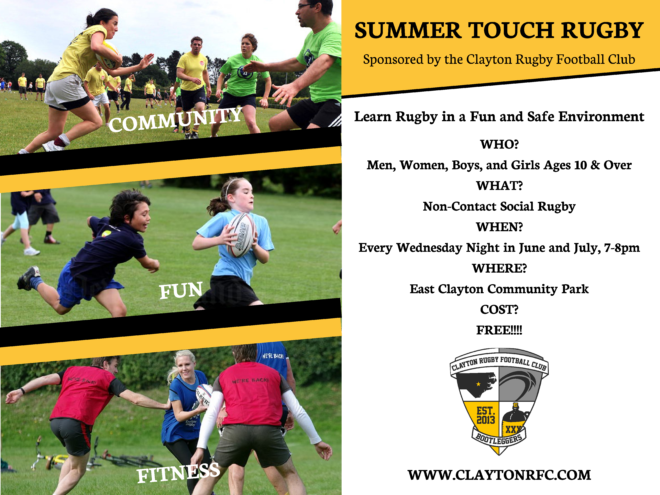 Women, men, girls, and boys of all ages are invited to join Clayton RFC players to learn rugby in a non-contact environment focused on fun and fitness. Participants will get a quick introduction to rugby basics from certified rugby coaches from the Clayton RFC and then jump into playing touch rugby with assistance from coaches and active players. The new program is aimed at getting more people active while at the same time continuing to raise rugby awareness in the community. Sharing the positive core values of the sport of rugby is also a key component of the program. The program launches on Wednesday June 7th and runs eight weeks through the end of July. 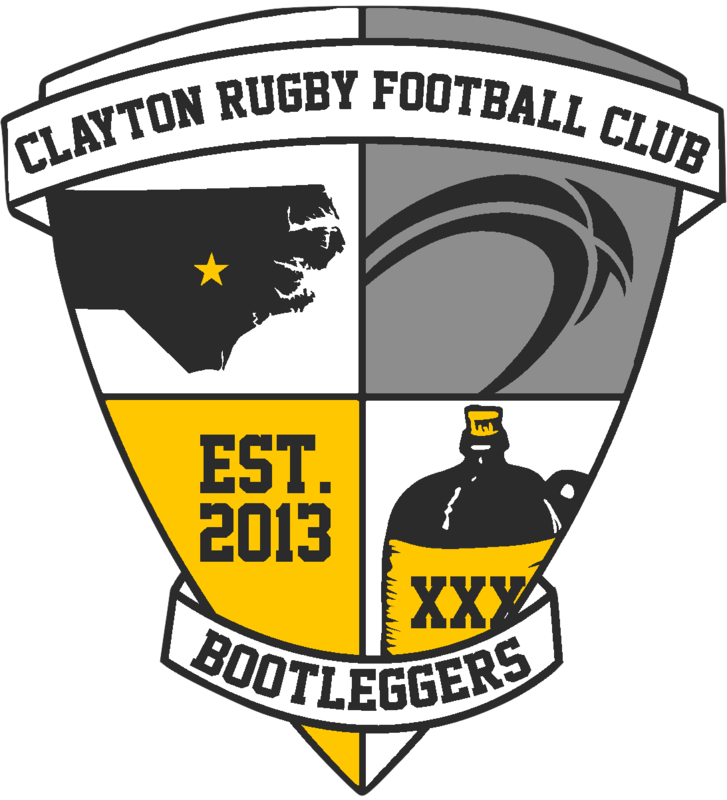 The program is fully funded by the Clayton RFC and is free to the community. Participants are encouraged to bring family and friends out over the Summer. New players are welcome at any point during the program. To pre-register for the program, please fill out the form below. All participants are also required to complete and turn in a SummerTouchRugbyIndividualAthleteWaiver prior to taking part in any activities. Waivers will also be available at the field prior to each session if needed.